Houston, Texas – Manhattan Construction Company, a privately-held, top nationally-ranked general building company, is pleased to welcome David Reyes to the Company’s Houston-area office. 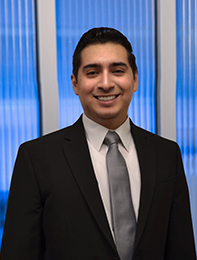 Reyes will be a part of Manhattan’s Houston estimating team, whose recent project work includes United Airlines Terminal C, Minute Maid Park Center Field Improvements, and the Alvin Independent School District Stadium. Reyes has new construction and interior build-out project experience in estimating, project management and operations. Reyes is a native Houstonian and earned his bachelor’s degree in Construction Management from the University of Houston. Founded in 1896, Manhattan Construction Group is consistently recognized by Engineering News-Record (ENR) as a top 50 contractor and serves building, civil, pipeline and specialty construction segments in the U.S., Mexico, Central America and the Caribbean. Manhattan was named 2017 “Contractor of the Year” in a five-state region by ENR Texas & Louisiana. Its operations include Manhattan Construction Company, Manhattan Road & Bridge Company, Manhattan Pipeline, LLC, Manhattan International Construction Company, Ltd, Cantera Concrete Company, Spectrum Contracting, Inc. and Safezone, LLC. In the last three years, its operations have received more than 40 industry honors for quality and safety. We are pleased to announce that Manhattan Construction Company Tulsa Operations Manager Ryan Haynie and Houston Senior Safety Engineer Christopher Vollenweider have been named as ENR Texas & Louisiana’s 2018 Top Young Professionals. Formerly called the Top 20 Under 40, the program selects 20 honorees from AEC firms across Oklahoma, Texas, Arkansas, Louisiana and Mississippi. The winners are honored as the best of the region’s next generation who are motivated to be better builders and designers while maintaining a work-life balance that harmonizes family and community. Architects, engineers, builders, infrastructure and water resource experts, and safety professionals can compete for the honor. Read Ryan and Christopher’s 2018 Top Young Professionals profiles here: /https://www.enr.com/articles/43925-texas-louisianas-2018-top-young-professionals. 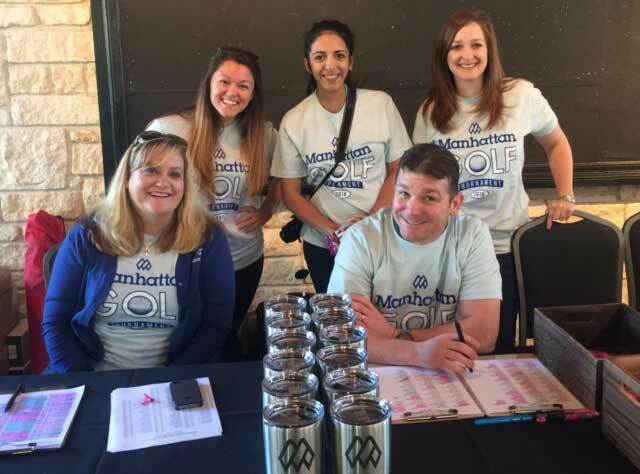 Manhattan Construction Company’s Houston office will host our 17 Annual Golf Scramble at the Blackhorse Golf Club in Cypress, Texas on April 20, 2018. We are proud to organize this fun event with our local trade partners and members of the A/E/C community, with all proceeds benefitting great local charities. This event was originally scheduled for October 2017, but was postponed due to Hurricane Harvey. Can’t play? That’s ok, we are also accepting donation of sponsorships and raffle prizes to benefit these charities! The Astros Foundation is the official team charity of the Houston Astros. They seek to harness the passion of baseball fans to support youth baseball and softball programs serving at risk children and teens. The cornerstone initiatives include the Community Leaders program, the Astros Urban Youth Academy and the Astros RBI Program (Reviving Baseball in Inner Cities). The Houston Police Foundation strives to promote awareness, enhance safety, and improve performance within the Houston Police Department by encouraging citizen involvement and support in making Houston a safer city for all. United We Care is a special emergency fund created to assist United Airlines (UA) team members when unexpected serious events occur – such as sudden medical costs, accidents or traumatic events. When tragedy strikes, a board made up of UA team members decides the level of assistance someone may receive. Beyond Family is a non-profit organization designed to provide respite care services and expand information sharing with regard to resources, aid and support available for families with special needs children. Photo credit: Shevaun Williams & Associates. 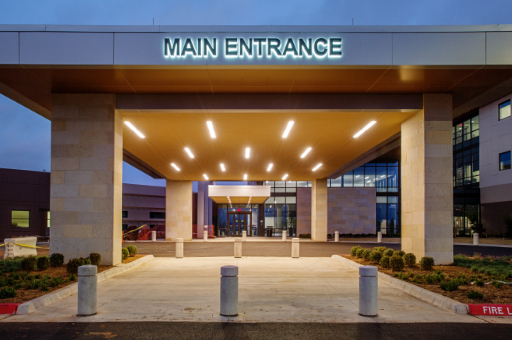 McBride Medical Office Building in Oklahoma City, Oklahoma in the Healthcare $20 – $50-million category. 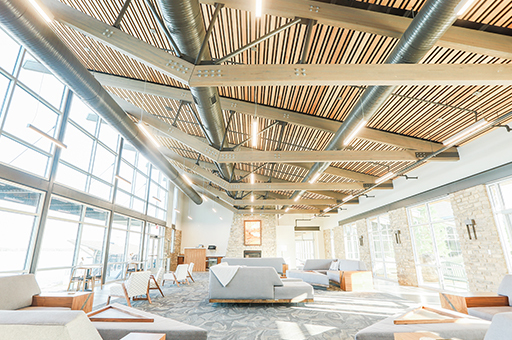 This project is a 122,306-square-foot, three-level office building connected to the existing hospital. In addition to office and clinic space, it includes laboratory and x-ray rooms, pharmacy, outpatient IV infusion and mechanical and electrical support spaces. The project owner is McBride Orthopedic Hospital. The design was by REES Associates, Inc. and the structural engineering was by Engineering Solutions LLC and mechanical engineering was by Darr & Collins, LLC. Photo credit: Jon B. Petersen Photography, Inc.
River Spirit Casino Phase II in Tulsa, Oklahoma in the Commercial $50-million-plus category. . This project expansion included more than 1.2 million square feet of new space, including a 1,200-space parking garage addition. 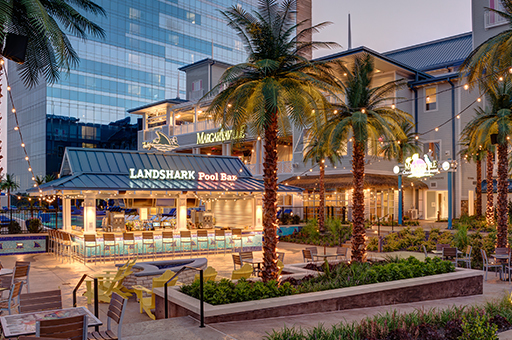 The new facility features a Margaritaville Casino, Margaritaville restaurant, a 2,500-seat theatre, and first-class convention and ballroom spaces. The defining feature is the 483-room, 27-story hotel tower. Manhattan shares this award with our partner RedStone Construction. The project owner is Muscogee (Creek) Nation and the owner’s representative was PMG. 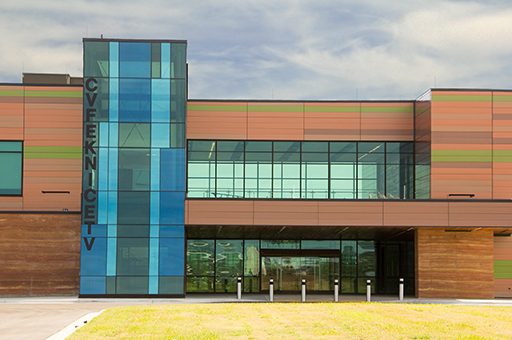 Muscogee (Creek) Nation Okemah Hospital / Clinic in Okemah, Oklahoma in the Healthcare $50-million-plus category. This project consists of four buildings including a two-story, 100,831-square-foot full-service emergency hospital and clinic, a 7,960-square-foot emergency management services building, a 2,221-square-foot facilities building, and a 7,045-square-foot wellness center. Manhattan shares this award with our partner RedStone Construction. The project owner is Muscogee (Creek) Nation. The architect was 1 Architecture and the engineer was Wallace Engineering. Lake Murray State Park Lodge in Ardmore, Oklahoma in the Institutional $20 – $50-million category. This project is a new lodge, restaurant, ballroom, hotel and cabins (32 rooms) with renovation to the existing lodge and grounds. The project owner is the Oklahoma Tourism and Recreation Department. The designer was Cyntergy AEC. Founded in 1896, Manhattan Construction Group is consistently recognized by Engineering News-Record (ENR) as a top 50 contractor and serves building, civil, pipeline and specialty construction segments in the U.S., Mexico, Central America and the Caribbean. Manhattan was named 2017 “Contractor of the Year” in a four-state region by ENR Texas & Louisiana. Its operations include Manhattan Construction Company, Manhattan Road & Bridge Company, Manhattan Pipeline, LLC, Manhattan International Construction Company, Ltd, Cantera Concrete Company, Spectrum Contracting, Inc. and Safezone, LLC. In the last three years, its operations have received more than 40 industry honors for quality and safety. The Associated General Contractors (AGC) of Oklahoma is a statewide, full service, non-profit organization for construction professionals. The AGC actively represents all types and disciplines of contractors and related affiliates including general contractors, subcontractors, specialty contractors, suppliers, service providers, education affiliates, and other industry related professional organizations. You are currently browsing the Manhattan Construction Group blog archives for February, 2018.